Ex-cop turned private investigator Robert Hoskins always enjoyed the stories his grandmother had told him as a child, stories of the Dryad that lived in the tree, the Faeries in the garden, and the magical world that was created in his imagination. He always enjoyed them; he just never thought that they were true. 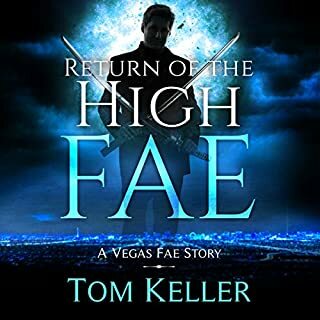 Robert's childhood world of magic becomes real when a chance encounter with a local casino mob boss introduces him to the world he was born into, the world that was hidden from him, the world of the Fae. What do you get when you mix a couple of immortals, a snotty archangel, the Father of Lies, a redneck street preacher and a couple of wiseass waitresses from Texas? You get a cross-country road trip to save the world, of course! Adam (yeah that Adam) has been around for a long time, but even he's never seen anything like this. He has to gather his ex-girlfriend and his youngest daughter with his ex-wife (you remember Eve, right?) and his oldest surviving son (Cain) and get them across the country for a meeting with Archangel Michael and Lucifer to determine the fate of the world. Along the way there are strip clubs, cheap beer, expensive whiskey, biker bar fights, shotgun blasts in motel parking lots, sing-alongs in public parks and other wild adventures as our group of intrepid immortals and universal icons travel to save the world. 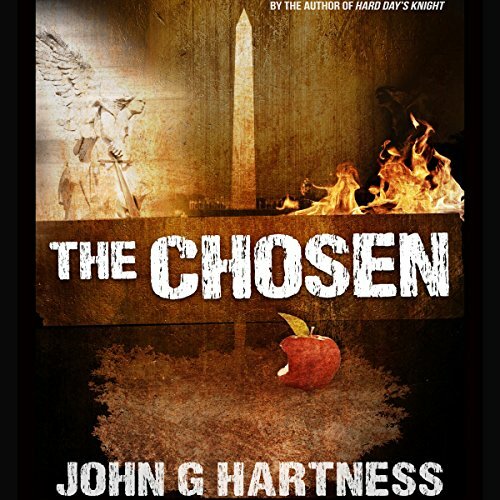 The Chosen is the first novel from best-selling fantasy novelist John G. Hartness. A wild comic ride through biblical genre-bending, The Chosen is as funny as it is probing. With characters pulled from the pages of the Bible and from everyday life, The Chosen takes a hard look at what happens when the divine becomes the everyday. Didn't like as much as other stories by the author...story felt forced...narration was good...was so...so. Overall this is a good book. Their are alot of great moment both heartwarming and gut busting. The Characters are well rounded and smoothly developed. The pacing is smooth never felling to fast nor to slow. 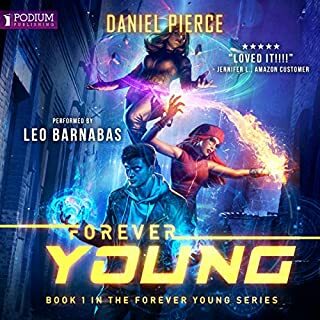 The narration is by far the best part about this audiobook with Andrew McFerrin bringing the story and characters to life. The ending is however were everything goes from pretty good to that "but if that is so than why did such and such happen" realm. 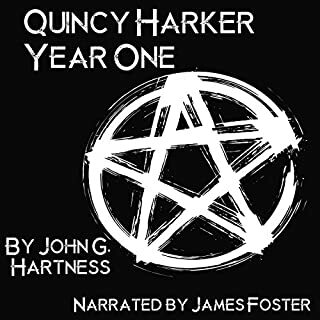 I can't say I would recommend this audiobook but at the same time I can't say just skip it. If you can take to whole "good-story bad-ending" I would say give this a try. This story started so well and I was really into it at first. This book was a new take on the Adam & Eve story. That part was ok. Meeting other biblical figures in modern present day incarnations. That part was ok too. The big buildup to the final BIG choice. That part was ok as well, not an unheard of tool in storytelling. The ending however left me shaking my head because, nooooo that can't really be how this ends. It wasn't even about the actual choice that was made but more about how quickly it came about. It was so rushed and simplified, almost as if a time limit was expiring and he had to just get SOMETHING on paper. 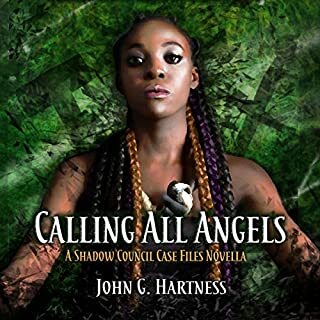 Well first John G Hartness is a fantastical storyteller and character builder, I adore what he brought to life and actually slowed down my listening because I didn't want it to end. The characters were relatable and filled with enough flaws that you rooted for them every step of the way. John has taken a biblical tale and put a unique (to me) spin on it. He left me wanting more. This feels like this must be one of his first works. The pacing is stutters, doesn't flow, and feels contrived. It's a very different experience than his other (very fun & enjoyable) work. Ok, I already love this author's writing style, so, new book? One-click! 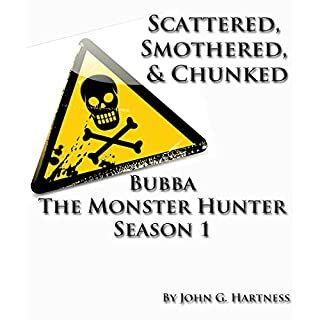 If ever there was an author who could make me laugh so hard I scared my dog, Hartness is it. 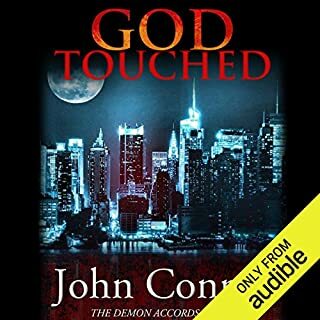 Seriously, I was sitting on the deck, listening to this redneck mashup of Dogma (as an aside, the narrators voice was a spot-on Azrael when he spoke for Lucifer! ), and I snorted so loudly, my little minpin actually BARKED at me! Not often do you find a book that helps you look in the mirror and see yourself. I am now 72 and know I am not immortal nor promised tomorrow. It is ok and I understand why a lot better. struggled to finish. Very slow pace. Disappointing for this author. His other series is so much more entertaining. Was very disappointed with this book .